Mercyhealth is a not-for-profit, vertically integrated health system with seven hospitals and 85 primary and specialty care locations throughout 50 northern Illinois and southern Wisconsin communities. Its 800+ employed physician partners and 8,000 employee/partners care for 2.4 million patients each year. Mercyhealth is committed to being a top integrated health care provider and continuously working to make life better for the people, families and communities it serves. As an integrated health care provider, it provides exceptional, coordinated health care that spans four core service divisions: hospital-based services; clinic-based services; home health, hospice and retail services; and a wholly owned insurance company. These four core service divisions make up its comprehensive, vertically integrated delivery system, and integrated delivery is what makes Mercyhealth unique in serving the full range of health care needs for its patients. Mercyhealth offers over 120 specialty and subspecialty services, including orthopedic surgery, prehospital emergency services and training, neurosurgery, heart and vascular services, cancer care, plastic and reconstructive surgery, and much more. When time is of the essence, its trauma centers are equipped with the latest technology and highly trained staff to provide immediate, life-saving care. 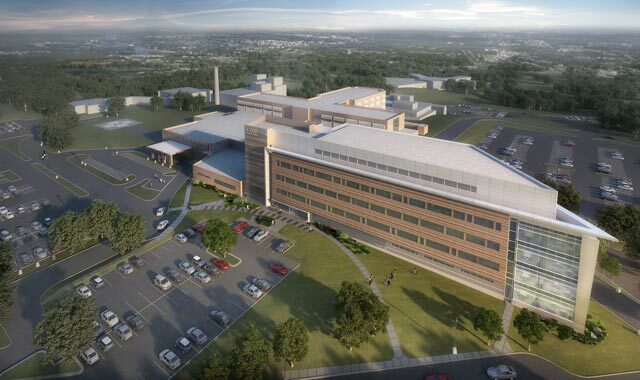 Opened in January 2019, Mercyhealth’s $505 million Javon Bea Hospital and Physician Clinic–Riverside on I-90 and Riverside Boulevard in Rockford serves as the regional hub for highly specialized hospital and clinical care for adults and children. As a state-designated children’s hospital, over 50 pediatric specialists provide exceptional care for infants and children. This facility houses a Regional Perinatal Center, neonatal and pediatric intensive care units, a pediatric critical care center, and much more. The facility also boasts a Level I trauma center, state-of-the-art surgical suites, and specialty care for all ages. • $5 million to create a new Orthopedic Center of Excellence. Adult and pediatric orthopedic surgeons specialize in a variety of treatments and surgeries, including sports medicine, joint replacement, hand surgery and trauma surgery. • $2.5 million for a 16,500-square-foot Prehospital and Emergency Services Center that offers a variety of training and other services. In July 2019, Mercyhealth’s new Family and Internal Medicine Residency Programs will begin training 25 residents, and by year three, 75 residents will be trained annually. The programs will be housed at Mercyhealth Alpine and Mercyhealth Mulford. With these programs, Mercyhealth will be the largest clinical training site for future physicians in the northern Illinois region. The programs will help recruit and retain primary care physicians to the northern Illinois region assisting in resolving physician shortages and contributing to the economy. FHN is a regional healthcare system committed to the health and well-being of the people of northwest Illinois and southern Wisconsin. FHN has services nearby for all ages, so every member of your family can receive caring, personal, professional healthcare. Easy scheduling for patients in search of a primary healthcare provider; call FHN’s hotline and you’ll have an appointment before you hang up. 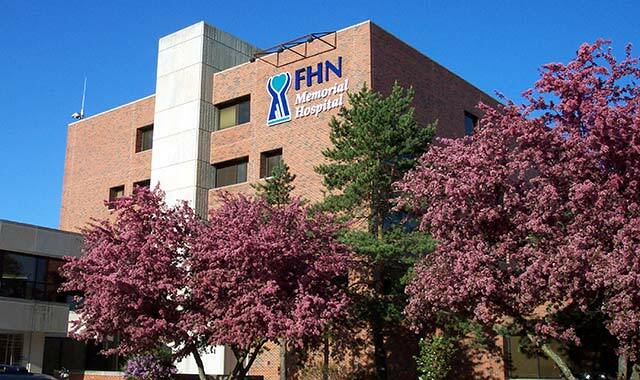 FHN offers affiliations with all three major hospitals in Rockford, as well as the University of Wisconsin Hospital and clinics in Madison. The staff at FHN values each patient interaction as a serious responsibility that requires clinical expertise, access to the latest in medical technology and a level of trust and commitment that is earned by FHN people, products and processes. OSF HealthCare Saint Anthony Medical Center is a 240-bed tertiary care facility on a 100-acre campus in Rockford serving patients from a 10-county area. As a Level I Trauma Center, which includes the only Regional Burn Unit, OSF Saint Anthony is the place to go when time matters and the complexity of injury or medical condition requires immediate attention and treatment by experienced and dedicated medical professionals. OSF Saint Anthony is also the region’s only Comprehensive Stroke Center, with a dedicated neuroscience intensive care unit for stroke and aneurysm patients, including on-site neurosurgery available 24/7 with the ability to perform complex neurovascular procedures. Our cardiology program, including OSF Cardiovascular Institute, has earned a three star rating from the Society of Thoracic Surgeons and we are the only medical center in the region performing transcatheter aortic valve replacement (TAVR) surgery for patients with aortic stenosis who are at high risk with a standard valve replacement procedure. We also perform the “Watchman” procedure, a catheter-delivered device that helps reduce the risk of stroke in atrial fibrillation patients who can’t tolerate blood thinners. Additionally, OSF HealthCare Saint Anthony has the Patricia D. Pepe Center for Cancer Care with oncology services certified by the Quality Oncology Practice Initiative® and accredited by the Commission on Cancer of the American College of Surgeons. With OSF Illinois Neurological Institute; OSF Medical Group, including OSF Surgical Group, the largest multi-specialty group in the region; Endocrinology; Center for Sports Medicine & Health Fitness; and leading-edge orthopedic services, OSF HealthCare Saint Anthony offers the most-comprehensive medical services programs in the area. Since 2005, OSF Saint Anthony has been a Magnet-designated hospital, the highest recognition for nursing excellence in the U.S., awarded by the American Nurses Credentialing Center, a subsidiary of the American Nurses Association. In 2018, a 144,000-square-foot expansion of the medical center was opened. It has allowed OSF Saint Anthony to become an all-private patient room hospital. The new addition also includes a PromptCare, a retail pharmacy, expanded women’s services, including a rejuvenation center, plus a demonstration kitchen. OSF Saint Anthony Medical Center is a member of OSF HealthCare, owned and operated by The Sisters of the Third Order of St. Francis, with medical centers and health facilities in Alton, Kewanee, Peoria, Bloomington, Pontiac, Galesburg, Monmouth, Mendota, Streator and Ottawa, Ill., and Escanaba, Mich. Everyone who is part of the organization is dedicated to providing healthcare with the greatest care and love. That compassion and respect for those we serve lives within the best healthcare professionals in the region and is a key reason why Forbes named us No. 1 best employer in Illinois. A division of UW Health, SwedishAmerican is dedicated to providing excellence in healthcare and compassionate service to the community. 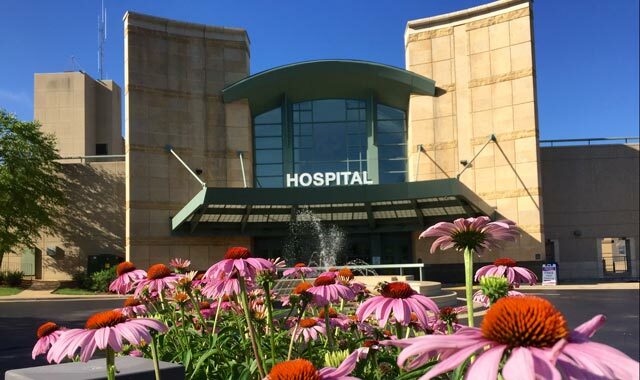 The organization serves residents of 12 counties in northern Illinois and southern Wisconsin through a dedicated and caring staff, a major acute care hospital and a freestanding outpatient cancer center in Rockford, a medical center in Belvidere, a network of primary care and multi-specialty clinics and a home healthcare agency. Following their merger in 2015, SwedishAmerican and UW Health began improving patient care through major capital investments in areas such as information technology, hospital infrastructure and new clinical care locations. SwedishAmerican achieved Magnet recognition as a reflection of its nursing professionalism, teamwork and superiority in patient care. The SwedishAmerican Foundation has completed substantial neighborhood revitalization projects surrounding the hospital campus. The past year brought exciting changes to SwedishAmerican in the form of several expansion projects. The health system opened two clinics on Rockford’s west side in January with the new Riverwest Clinic at 815 Marchesano Drive and the employee-based Partners Health Center at 2601 N. Main St. Creekside Medical Center will open on North Bell School Road this fall, followed by Edgewater Medical Center on North Main Street at the end of this year. In addition, construction continues on the four-story women and children’s tower located on the hospital’s main campus. This tower is scheduled to open in 2021. Our goal is to provide you and your family with the best patient experience possible. Through comprehensive services, we offer residents the care of a big-city health system with the convenience of being right in the neighborhood. We’re grateful for our employees, physicians, volunteers, leadership boards, corporate members and community residents, whose ongoing support helps to set us apart. We look forward to providing exceptional care for many years to come. The future of health and wellness is here, at NorthPointe Health & Wellness Campus. 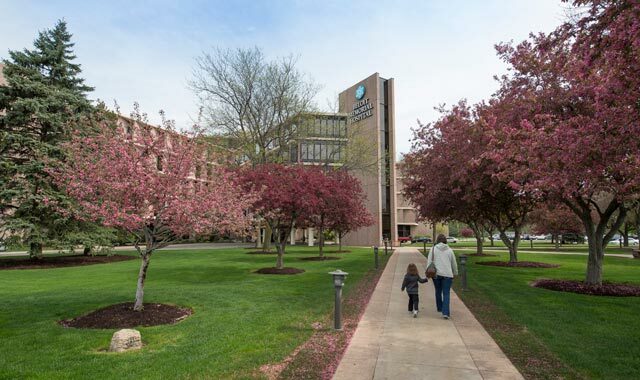 NorthPointe is a state-of-the-art health and wellness campus owned and operated by Beloit Health System, where we continue to make a difference in the northern Illinois community by providing excellent healthcare for life. NorthPointe is the first comprehensive health campus of its kind, specifically designed to meet the rapidly growing healthcare needs of individuals and families. From diagnostic services to immediate and primary care, to a medically integrated health and fitness center, NorthPointe is unlike any other health and wellness center you will ever experience. We know you will enjoy the peaceful surroundings, the natural prairie landscape and the holistic approach to your new, healthy lifestyle. 5605 E. Rockton Road, Roscoe, Ill.